Home » Décor » With Sophistication On Tap, Wild Clover Reinvents Brewery Interiors! Wild Clover Breweries in Stellenbosch is sporting a newly designed restaurant, brewery and deli that perfectly match the taste and charm of the brand’s celebrated home-brewed beer. The design displays a heady contemporary aesthetic that cohesively ties the restaurant, brewery and deli areas together while also reflecting the brewery’s personality: stylish, yet accessible; sophisticated, but fun! 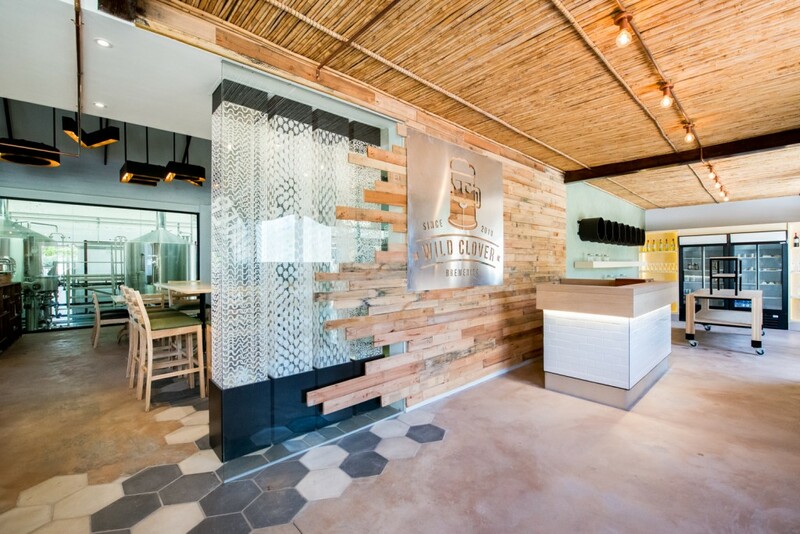 Inhouse Brand Architects was the design firm of choice due to its expert conceptualization skills and long list of successful hospitality and retail projects including the recently completed The Butcher Shop & Grill Sandton, Bocca and Wagon Trail Breweries. Inhouse’s Managing Director, Phillip Wyatt, and Associate Director, Moiisha Viasgie, were briefed to infuse the Wild Clover space with an industrial yet homely look-and-feel. It was also important that the brand’s personality play an integral part in the overall execution. The brewery has four signature beers, each named after an animal – the Eagle Weiss Wit, Blind Mole Pils, Double Owl Ale and Black Dog Porter – and each brings its own sense of character and eccentricity to the brand. The central focus of the space is no doubt the brewery itself. This room is sheathed in glass, allowing guests to view the beer-making process, which reinforces the foundations of the brand. Wild Clover’s Brew Master, Ampie Kruger travelled all over Italy to source the finest state-of-the-art brewing system. Inhouse was asked to incorporate the brewery system into the layout and marry it with the restaurant and deli sections. One of Inhouse’s aims was to tie the various areas together aesthetically in order to create a sense of visual cohesion. 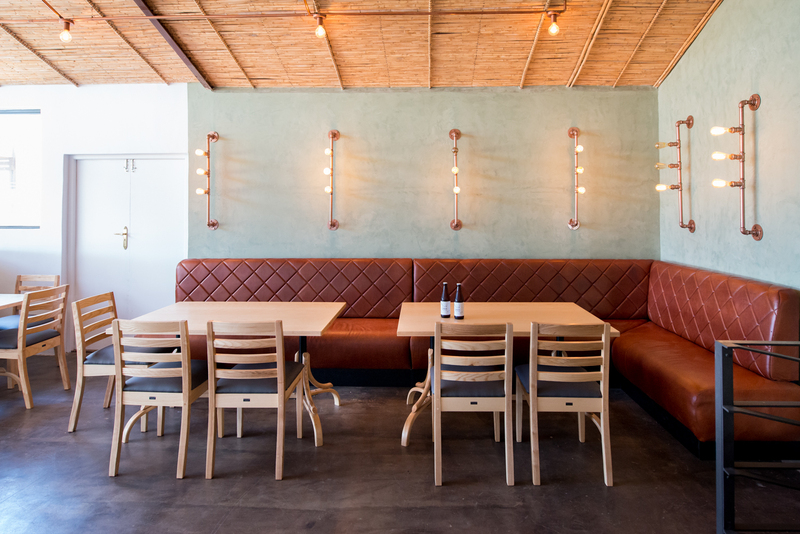 By removing a pre-existing wall, Visagie was able to connect the deli, restaurant and tasting room areas to the brewery in an open-plan manner. The bar and tasting area display impressive design elements such as striking pendant fittings suspended overhead that literally put the location’s name up in lights! 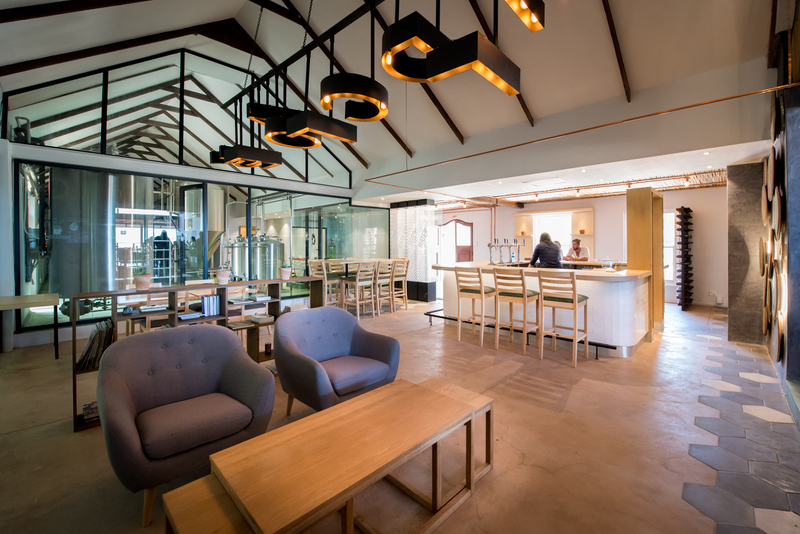 Guests can make a quick pitstop at the feature bar, which is crafted from timber and edged with beveled tiles, to sample Wild Clover’s special brews. Other design elements contribute to the contemporary aesthetic, such as randomly placed white and grey hexagonal tiles amalgamated into the sealed concrete flooring. Another truly unique feature comprises four floor-to-ceiling Perspex columns, each containing an essential ingredient of beer: yeast, barely, hops and water. An easy-to-access hatch in the ceiling allows the ingredients to be added to each column. These clearly showcase what the brand is all about…beer! To create a sense of privacy, a steel screen was installed to conceal the bathroom doors from the tasting room. The clever use of beer bottles built into this structure further reinforces the brand personality. 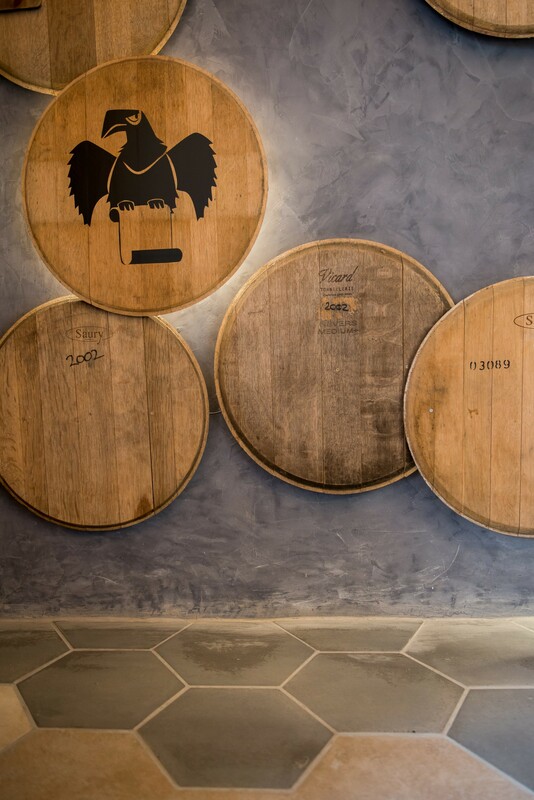 Additionally, refurbished wine barrel lids are displayed on the wall parallel and arranged in an artful fashion. The breweries’ four beloved mascots, the eagle, mole, owl and dog, all make an appearance on the wooden spheres – each highlighted by hidden LEDs. The restaurant area is decorated with unusual brass pipe light fittings that heighten the undeniably quirky aesthetic. Brown banquet leather seating offers a comfortable yet stylish zone to enjoy the many delicious delights available from the outlet’s deli and kitchen. The deli area is a true extension of the space, exuding sophistication by incorporating neutral timber and bold black shelving. Inhouse has succeeded in creating a cohesive space that truly emanates the brand’s personality. Wild Clover’s new destination combines flawlessly designed and constructed interiors that provide a fitting backdrop to celebrate the art of making beer. Cheers!